In the continuing battle for the most impressive selfie, the Curiosity rover has left your tropical beach photos in its dust. Curiosity's panorama was taken on Vera Rubin Ridge during the rover's adventures on Mars and released by NASA this week. 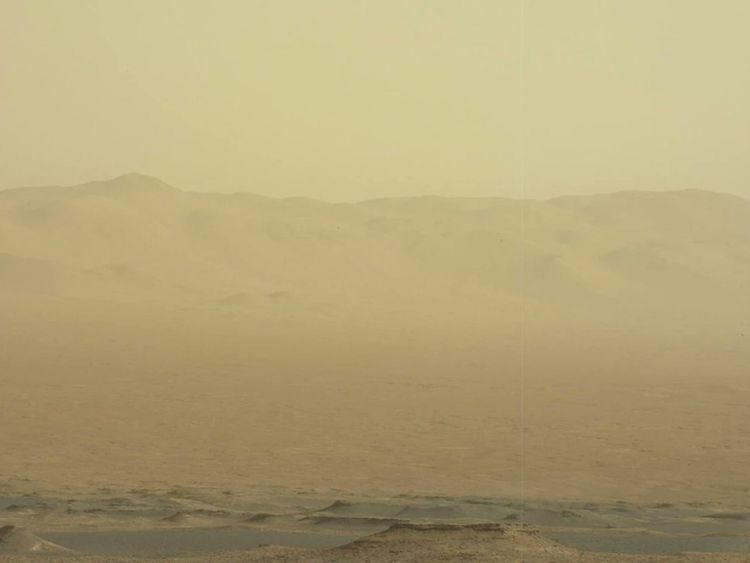 It gives those of us back on Earth some fascinating clues about life on the red planet.The thin layer of dust on the rover is the result of a massive summer storm, with the dark shade in the sky showing that dust is still clogging the atmosphere. 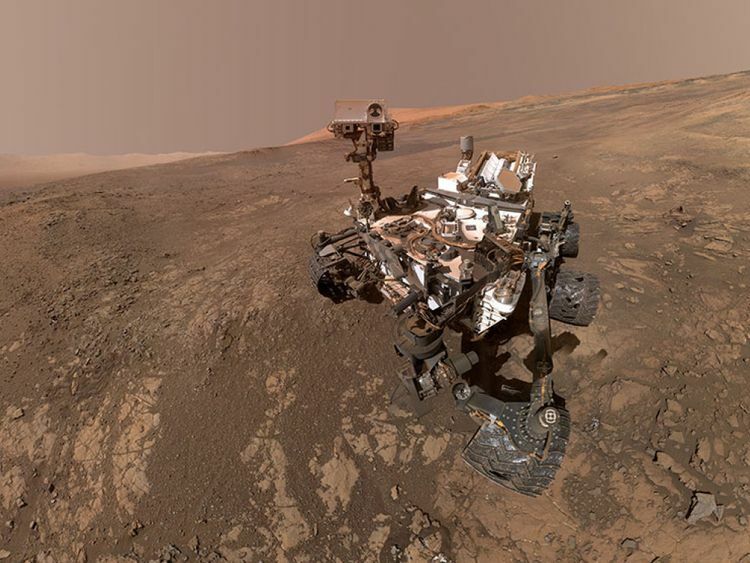 The one-ton Curiosity, which carries a massive amount of scientific kit, was drilling for a new rock sample when the photo was taken.Curiosity is not the only rover on Mars - its older and smaller cousin Opportunity is also on the planet, but we don't know where.The same storm seen in Curiosity's selfie blocked sunlight from the solar-powered Opportunity, silencing it on 10 June.Flight controllers hope communication will resume as the sky around Mars clears but there are also fears that Opportunity may be lost forever. 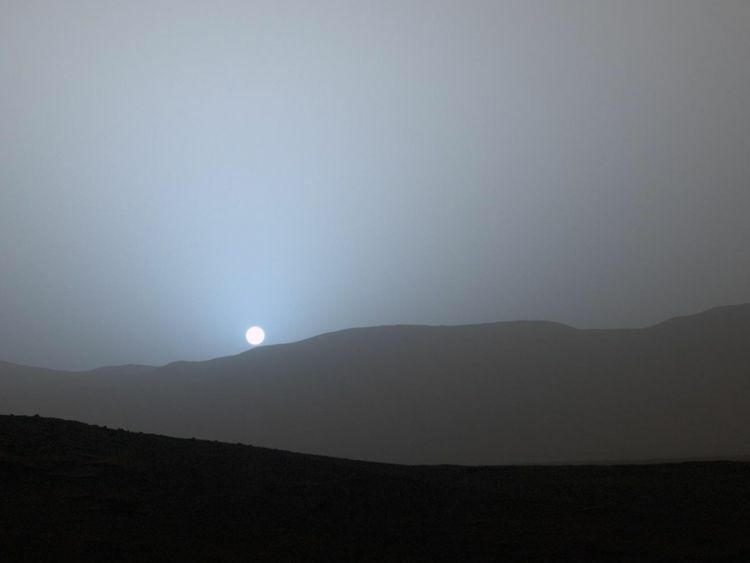 Curiosity is not affected by the lack of sunlight, as it is nuclear-powered.But it is grappling with other problems.It was launched in November 2011 with a mission: to find out if Mars ever had the right environmental conditions to support small life forms called microbes.There was early success, as the rover found chemical and mineral proof. However, its last two drilling attempts have failed to produce usable samples because the rocks were too hard. Ashwin Vasavada, Curiosity's project scientist at NASA's Jet Propulsion Laboratory in Pasadena, California, said that Curiosity has never encountered a place with so much variation in colour and texture.Mr Vasavada said: "The ridge isn't this monolithic thing - it has two distinct sections, each of which has a variety of colours. "Some are visible to the eye and even more show up when we look in near-infrared, just beyond what our eyes can see. "Some seem related to how hard the rocks are." To find out why the rocks are so hard, Curiosity aims to drill them into a powder so scientists can analyse what acts as the "cement" on Vera Rubin Ridge, allowing it to stand against wind and erosion.Mr Vasavada said the most likely reason is that groundwater moving through the ridge in ancient times strengthened it, even acting as plumbing to distribute this wind-proofing "cement".Or is there something else unusual in the ridge's red rocks that makes them so strong?For now, Vera Rubin Ridge is keeping that secret.But Curiosity, which is about as tall as a basketball player, will attempt two more drills this month before moving to another site in October.